WALL FASTENING HARDWARE: This cabinet comes with wall-fastening hardware, a safety feature that ensures that it won’t tip forward when filled with stored contents. 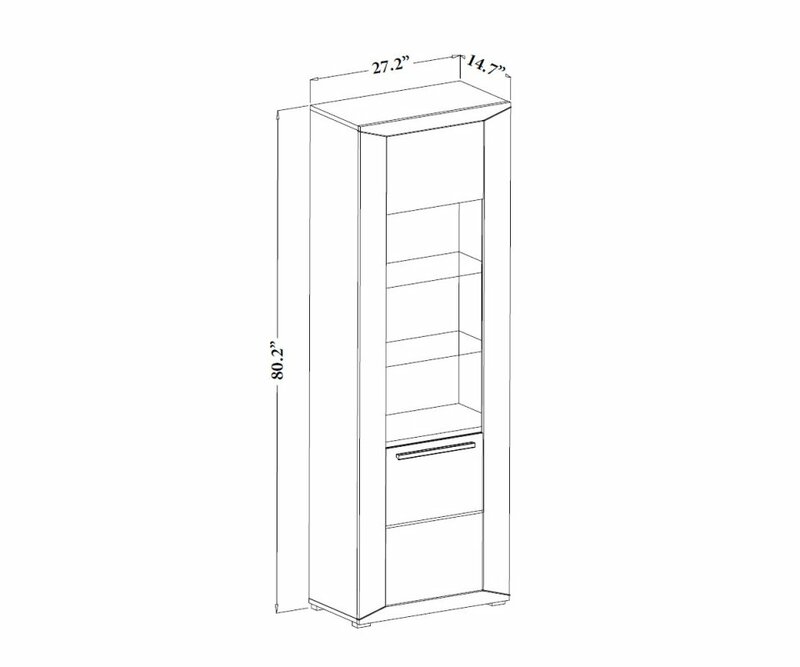 HEAVY-DUTY CONSTRUCTION: Built from top-grade particleboard, and joined with heavy-duty steel hardware, the cabinet won’t bow or split under weight, and will last for years! CONTEMPORARY STYLE: The neutral color palette and streamlined design blends well with other home furnishings, adding an eclectic note to any room! 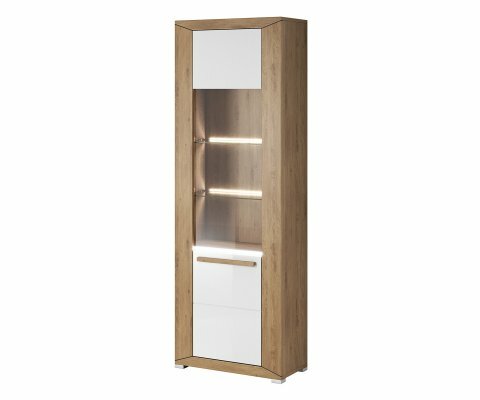 The Lumi glass cabinet offers both storage features and ambient display for your dining or living room space. The stunning two-tone color palette, in Oak Beaufort woodgrain and solid White, adds a neutral element that blends with most home décor styles and other furniture you may have in the room. The cabinet has closed cupboards for storing china, serving pieces, or other items you want to keep safely out of sight. Two glass shelves are illuminated with soft LED lighting strips, providing the perfect place to display collectibles, art, plants, and more! The cabinet is built from top-grade particleboard, and is joined with heavy-duty steel hardware, so it will last for years without bowing or splitting. An added safety feature, it comes with wall-fastening hardware, preventing a full cabinet from tipping forward on carpeting or from being pulled by a child. The Lumi cabinet is the perfect accent piece for creating an elegant living or dining room look!